We Offer Monterey with Expert AC Repair Service at a Fair Price. Our NATE Certified Technicians come fully prepared ready to tackle any task ahead to get you comfortable. Our thorough NATE Certified technicians save you time and money by getting your heating and cooling project done right the first time. 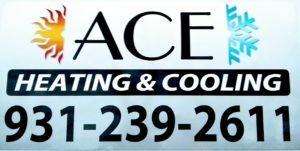 By staying current of technological advancements with on going training we strive to provide Top Notch HVAC Services in Monterey and the rest of the Upper Cumberland. Our main focus is Customer Service and encourage all of our customers to leave a review. We offer many different options to choose from when selecting a new heating and air conditioning system. With many different manufacturers to choose from we give you an array of options to meet your comfort needs. Trust our NATE Certified Installers that utilize the latest technology and approved EPA practices to keep you comfortable all year long. Heating and Cooling in Monterey, TN. NATE Certified Repairs and Installations with Top Notch Customer Service. 24 Hours. (931) 239-2611.